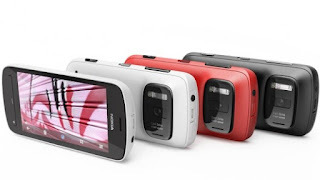 Nokia launched Nokia 808 phone with 41 megapixel camera !! 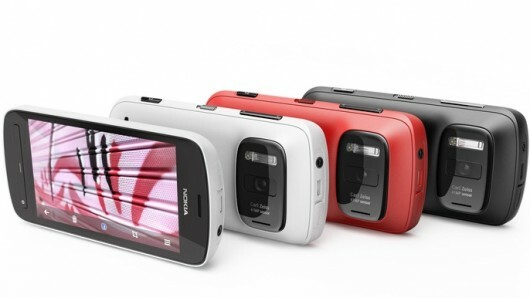 Nokia yesterday launched Nokia 808 pure view camera phone with 41 megapixel camera. It is a successor of Nokia N8 . You can read its specifications and details below and watch the video for more details. The Nokia 808 PureView is a Nokia Belle Feature Pack 1 phone featuring fresh new UI with boosted performance. The phone features a 41 MP camera sensor with PureView Pro imaging technology, powerful Xenon flash, LED video light and 1080p Full HD video recording with up to 4x lossless zoom that’s smooth and completely silent. It is also the world’s first device to include Nokia Rich Recording, which combines a unique digital microphone technology and Nokia algorithms to record distortion-free stereo audio at levels of up to 140 dB. Other features include 4" AMOLED ClearBlack display and 2.5 D curved Corning® Gorilla® Glass, Active Noise Cancellation, Dolby Digital Plus and Dolby Headphone for playback, NFC for easy sharing and pairing, HDMI micro, On Demand WebTV and A-GPS with Nokia Maps. The development interfaces include Qt 4.8, Java Runtime 2.3, Bluetooth 3.0 and Flash Lite 4.0.